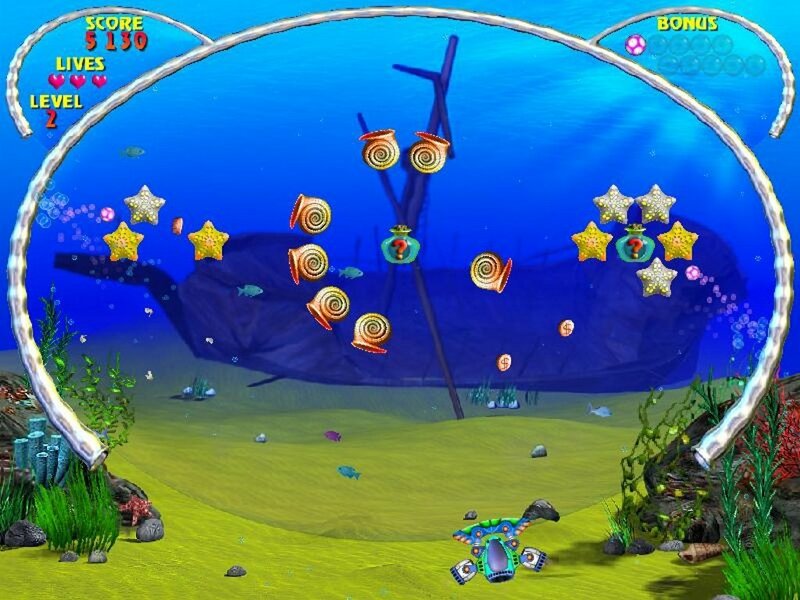 Any player who usually played the classic arcade machines will quickly realize that AquaBall is based on one of the best known classic games: Arkanoid. 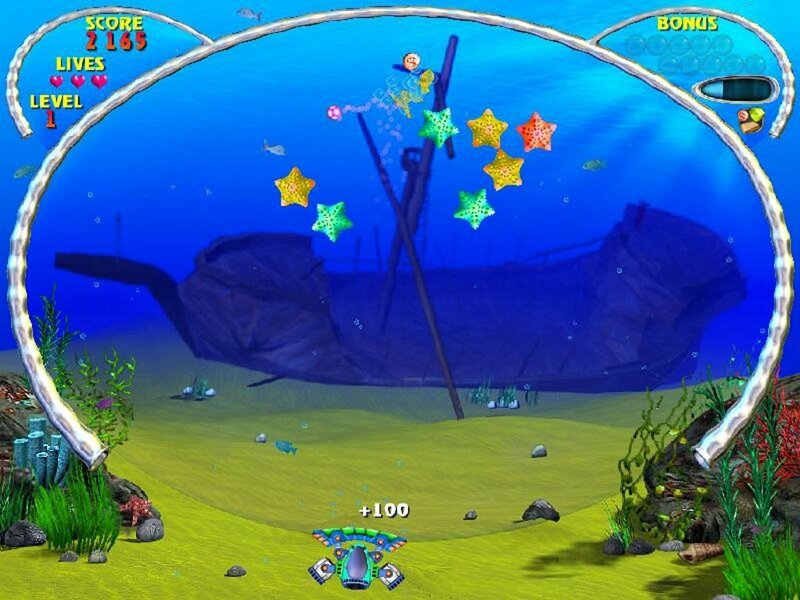 But it is worth highlighting that the scoring method and the way the ball reacts. 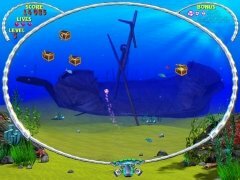 The first big difference between Arkanoid and AquaBall is that the second takes place underwater in an oval environment, something that makes it a lot more difficult to calculate the reflection angles. 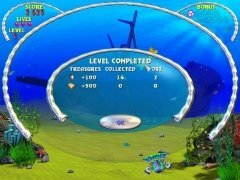 It also varies in the fact that the bricks have been changed for different objects that can be found at the bottom of the sea. 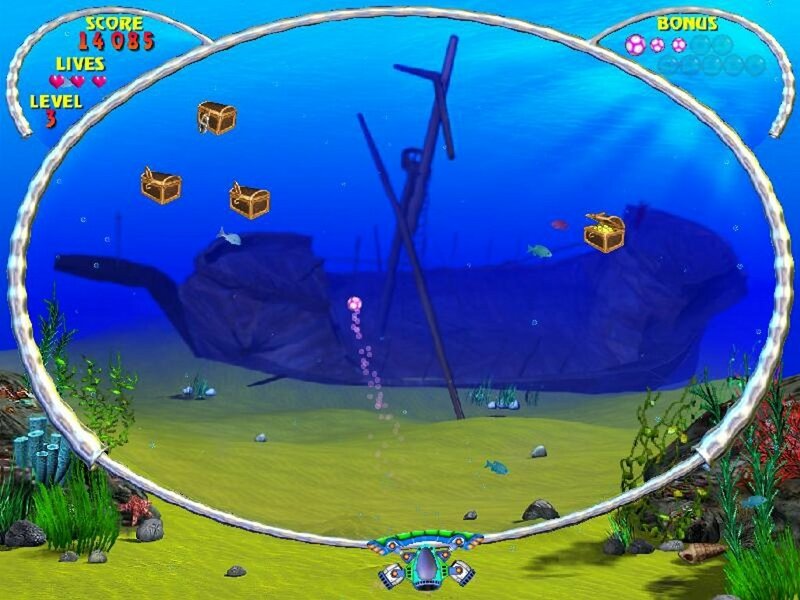 Destroy the objects, choose which bonus to grab and don't forget about the gold. 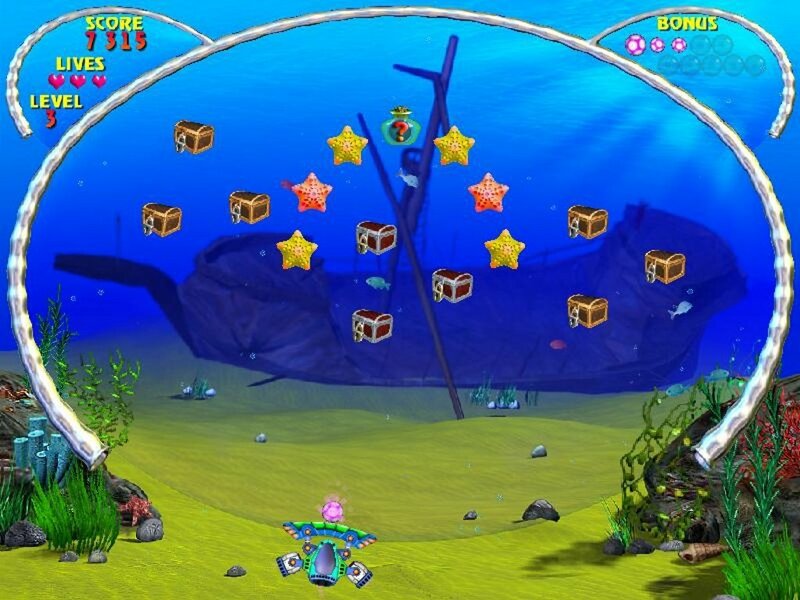 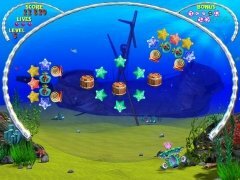 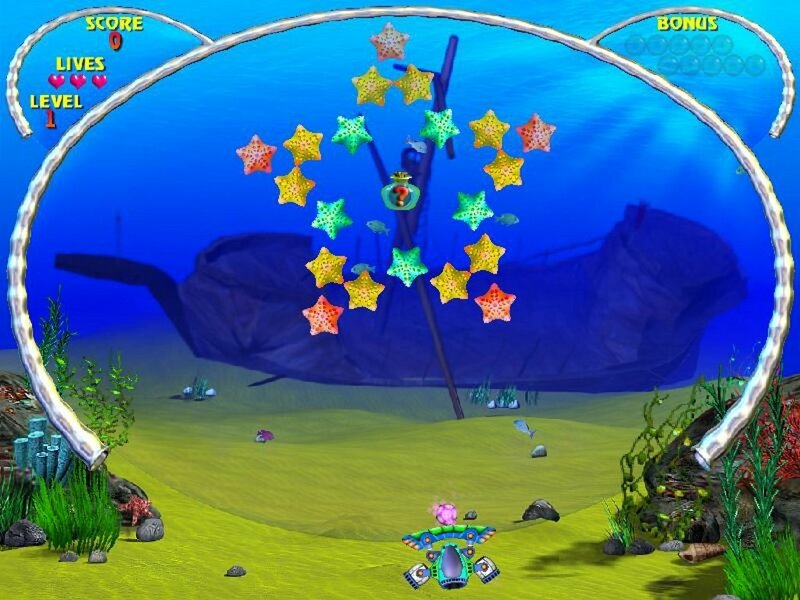 Just as in its predecessor, in AquaBall you have to destroy the different objects (starfish, chests, large shells,...) to pass each level, with some of these objects offering bonus effects that may help your out or make it more difficult to act. Additionally, in AquaBall to score point you have to gather the coins and gold ingots which fall when an object is broken. 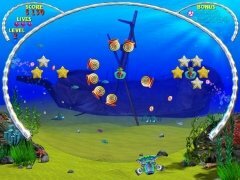 Download AquaBall and have a good time destroying the objects at the bottom of the sea in search of gold. 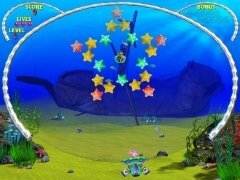 The demo only allows to play during 60 minutes.